People change roles quite often which means that most of your list can be outdated in six months. The statistics show that 30% of your list is completely unusable within a year. Email list cleaning consists of removing inaccurate and inactive contacts from your email database. A good rule of thumb is to remove people who have unsubscribed from your email list and anyone else who hasn’t been active for a certain period of time. 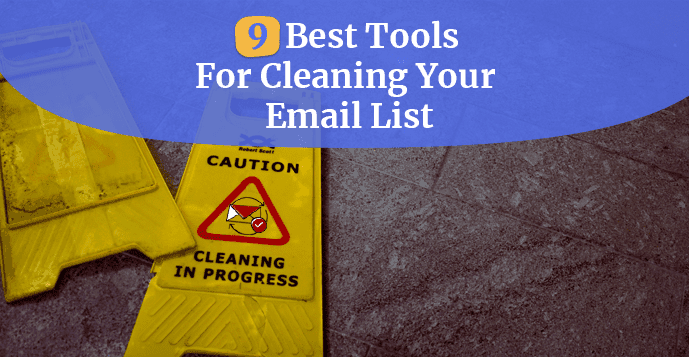 Depending on the size of your email list, you can do the cleaning manually or automatically. We recommend the latter. 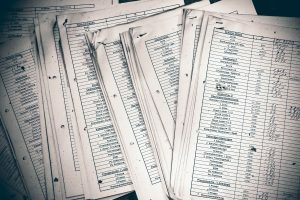 Before we go on with a list of our recommendations let’s take a look at some of the risks that are associated with keeping a list that is not regularly updated. Higher bounce rate means that your list is most likely outdated and contains a lot of inactive addresses. This can negatively influence your reputation as a sender with ISPs and it can also impact the deliverability status of your future emails. A great way to decrease a high bounce rate is by implementing a double opt-in during the registration process. Also, cleaning your email list after every campaign and removing bounces is going to be well recognized by ISPs. If you’re not keeping your email list updated this can increase the number of spam complaints against your business. Some subscribers will forget that they even signed up for your newsletter and they may mark your email as spam. Email providers like Google keep a log of these spam complaints. If there are too many of them, your emails will end up going to spam folder. And that means to everyone! Not just the people who reported you. This can significantly reduce your CTR and conversions. A clean list will decrease the number of spam complaints and will improve your sender’s reputation with ISPs. Every inactive user is costing your company money. Most email list providers charge according to the size of your email list. That’s the first incentive to keep your email list clean. Clean email list means less money spent on marketing and an increase in marketing efficiency. If you want to prevent or eliminate these risks, keep reading and find which tool is the right one for you and your business. 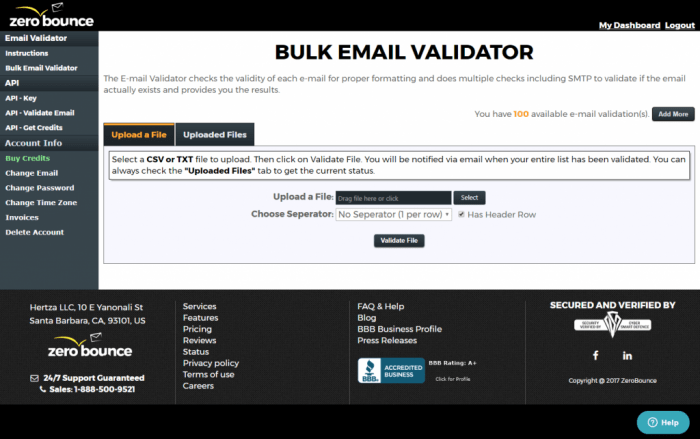 Data Validation is deemed the best email cleaning tool by marketing and sales professionals. All you have to do is upload your list of contacts and it can tell you not only whether the email is correct or not, but even whether it’s been used recently. They have excellent user experience and they even provide you with a quality score explaining what percentage of your list is usable. 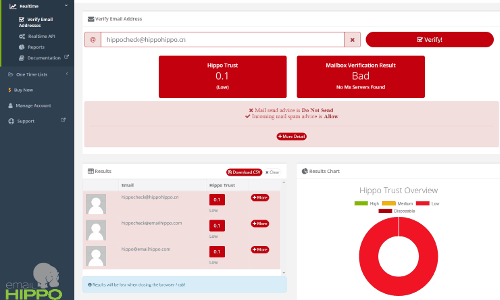 EmailListVerify can provide you with information about who are the main complainers on your list and whether you got caught in any spam traps. You can either upload your CVS file or connect it to your MailChimp account. Processing may take somewhere between 30 to 120 minutes depending on the size of your list. You purchase credits which you spend in the pay-as-you-go manner. Email Hippo has been in the business for over 10 years. It prevents soft and hard bounces and they are able to process large quantities of email (about 40 million per month) which can be valuable for big companies. Another thing that might be important for big players is that they are GDPR compliant. 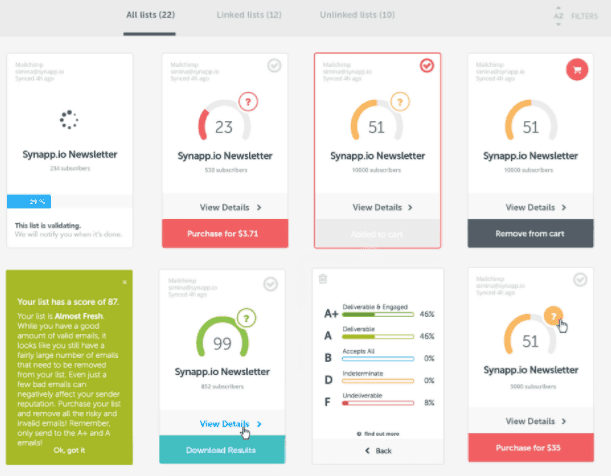 Neverbounce offers free signup and you can test any size of data for free. 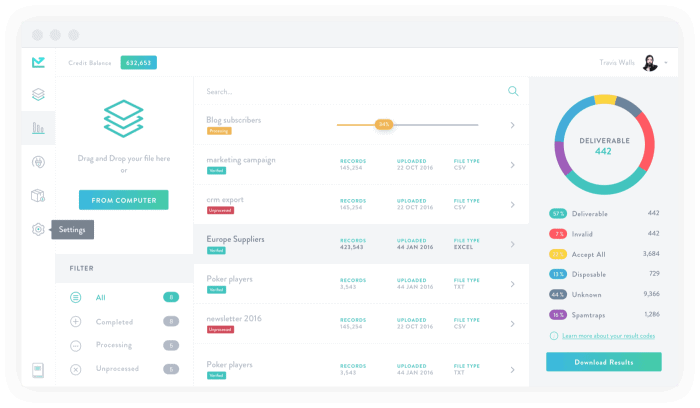 They have unlimited platform integration which means you can use it with Joomla, WordPress, Drupal, Contact Forms, Mailchimp, Marketo, Pardot, etc. 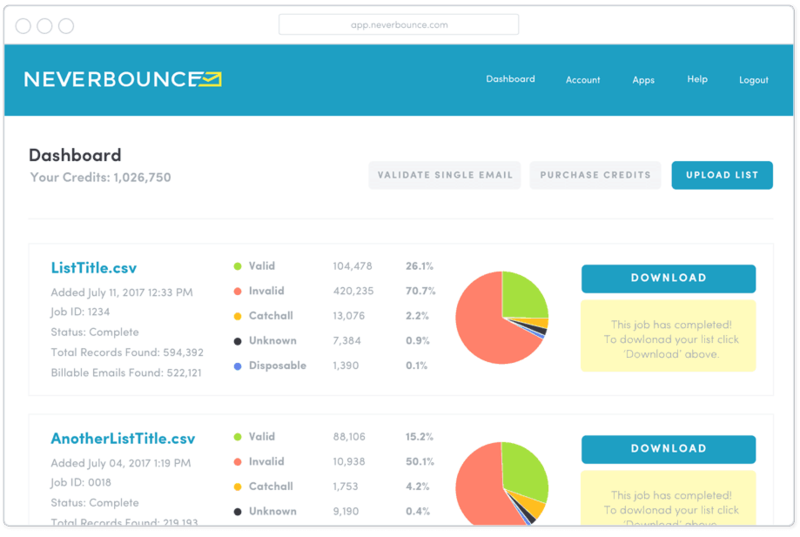 Neverbounce has the ability to check 10k emails in 2 to 10 minutes, while a list of 100k will use up only 45 minutes. Bounceless is the new player in the game compared to the other tools we mentioned. It’s pretty simple and easy to use so you won’t need to waste your time trying to figure it out and browse tutorials. Bounceless recognizes spam traps to keep you away from that dreadful folder. They also offer integration with Mailchimp, but customer service tends to be a bit slow. This is the last of the bounce bunch. 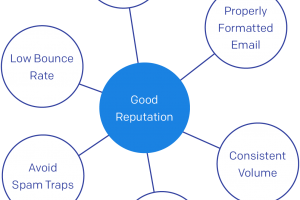 Zerobounce does data appending (location, company, telephone number) as well as email verification and they recognize spam traps. You can even enter the exact amount of the emails you need to verify and their calculator will show you the price. Zerobounce has customer support that is available 24/7 in case you need any help verifying your emails. 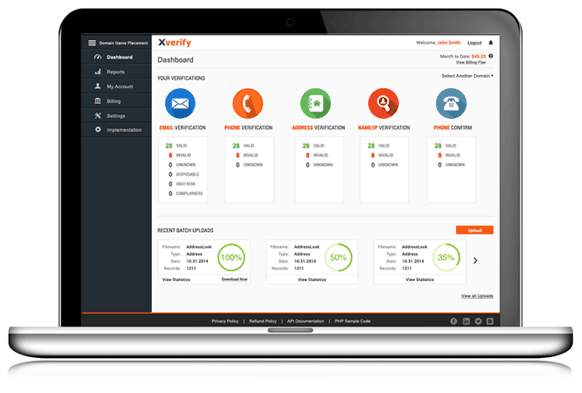 Xverify has a superb customer service and you can call them anytime to speak with a deliverability consultant. Their reporting is very detailed and they offer the highest accuracy rates of up to 98%. For those searching postal addresses in the US and Canada, Xverify is able to check those as well. 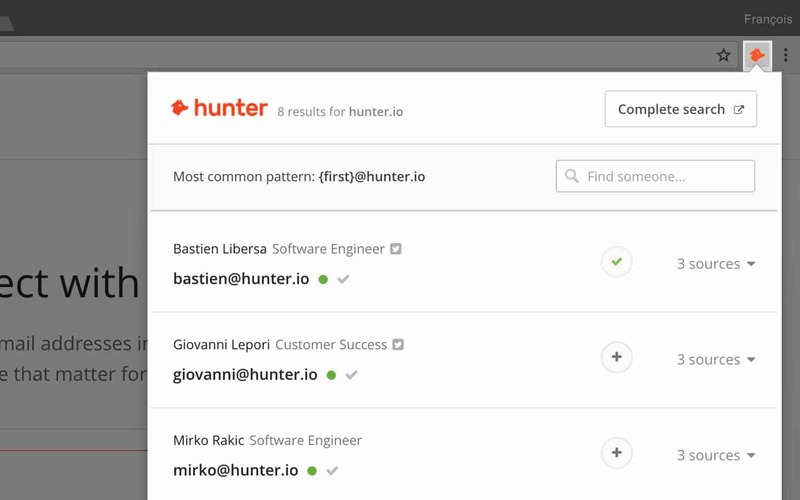 Email Hunter will help you check the contacts you already have, but it also finds emails from different websites and LinkedIn. It is quite simple to use and you can even download a free extension for Google Chrome that allows you to get the email addresses behind any website. Sometimes it can be a bit inaccurate. Verifalia is an Italian company so get ready to exchange your dollars for euros once again. It is developed and maintained by Cobisi, one of the best software companies out there. In order to use their services, you will have to purchase credits from your free account. After you upload your emails, you will get a detailed report on which addresses were bad or outdated and why. Budget is of utmost importance for entrepreneurs and startups. If after reading this list you still feel unsure about which tool to choose, we recommend narrowing your choice down to 2-3 tools. Experiment with the tool and see which one works the best for you and your team. 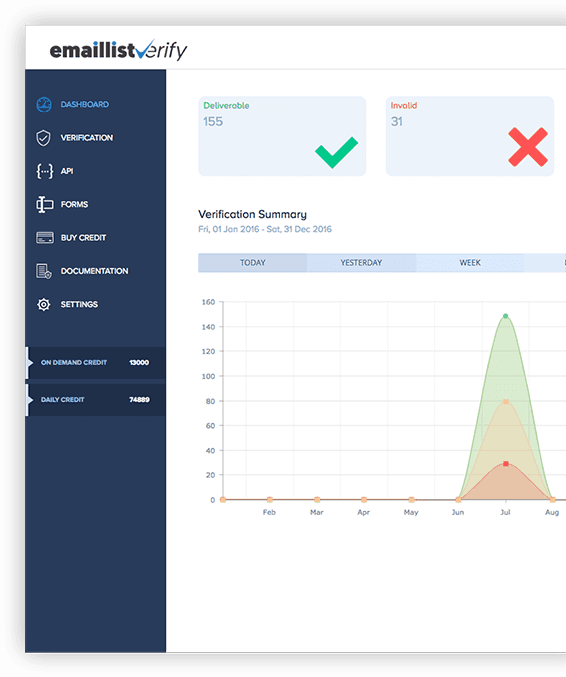 We recommend starting out with Email List Verify (1000 validations per month), Neverbounce (1000 validations per month), and Data Validation (500 validations per month). How to add value to cleaned contact data? 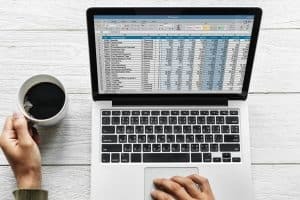 Once you got your email list cleaned from existing email, our data updating and appending service is a perfect next step to maximize the value of your contacts. if you want to maintain the quality of the data on the highest level, our semi-automated process is the most effective way to go. Add new contacts to the existing account – If you realize that a majority of contacts related to one account is outdated, our research team could find new employees, matching your ICP. Update CRM Fields – In addition, if you have changed or added new fields in your CRM our team can add the missing data to leads/contacts. So, go ahead, use any of the above-mentioned tools and then let us know if you need any help with the incorrect CRM data. 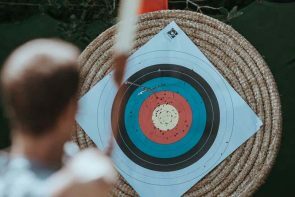 Spam is the salesperson’s biggest nightmare, because it means that all your efforts of market research, collecting contacts and fine-tuning your email were worthless. We know how to keep you and your emails out of those folders. Listen up.